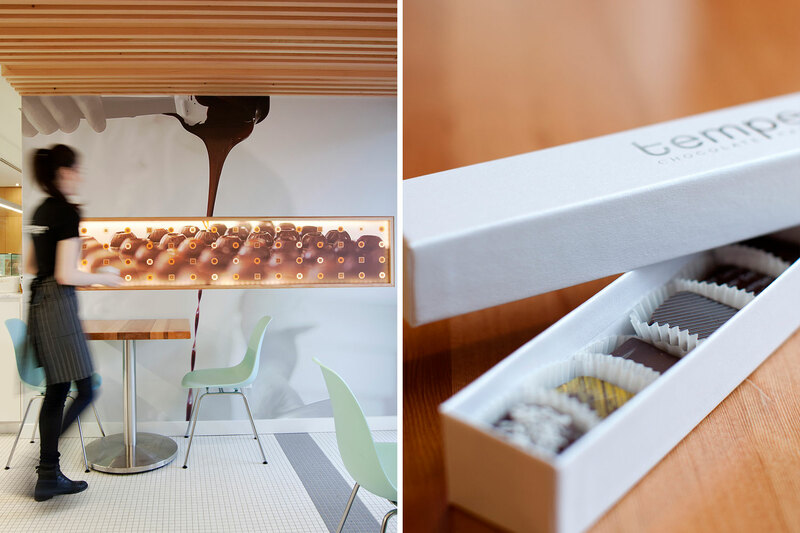 Temper Chocolate Pastry is a gourmet chocolate and pastry shop located in West Vancouver. 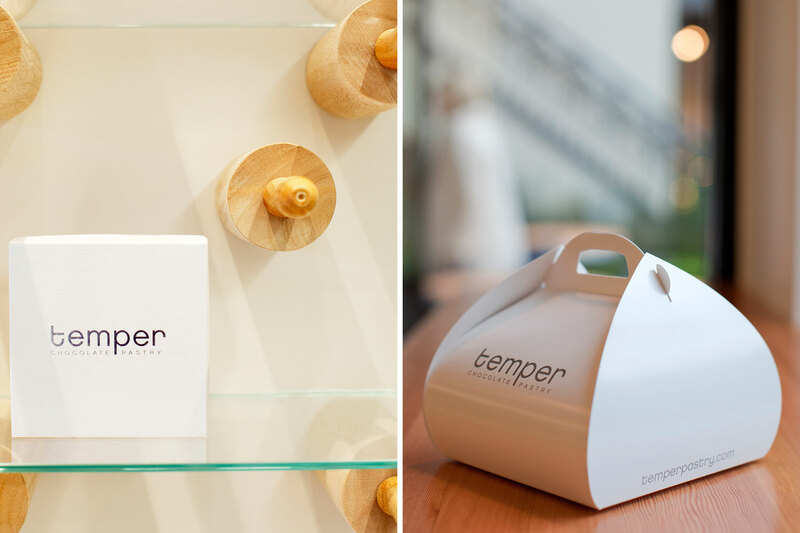 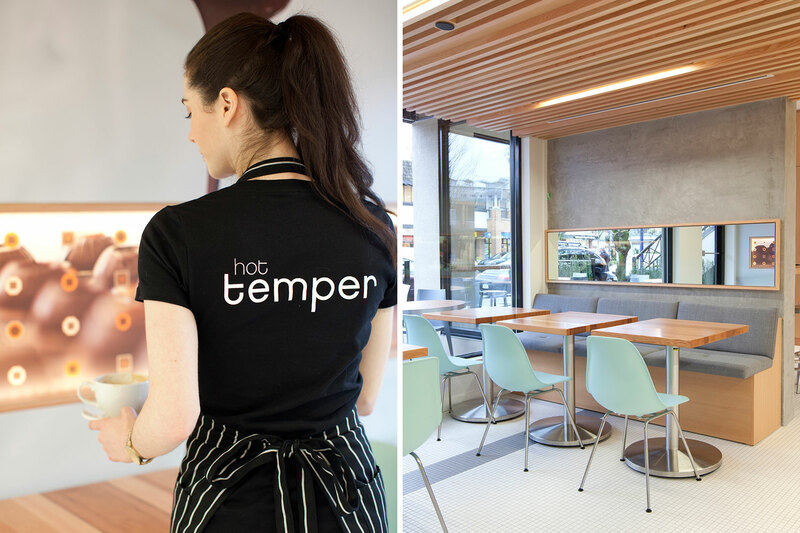 Temper consists of fully functioning chocolate and pastry kitchens while maintaining an inviting open retail & café experience. 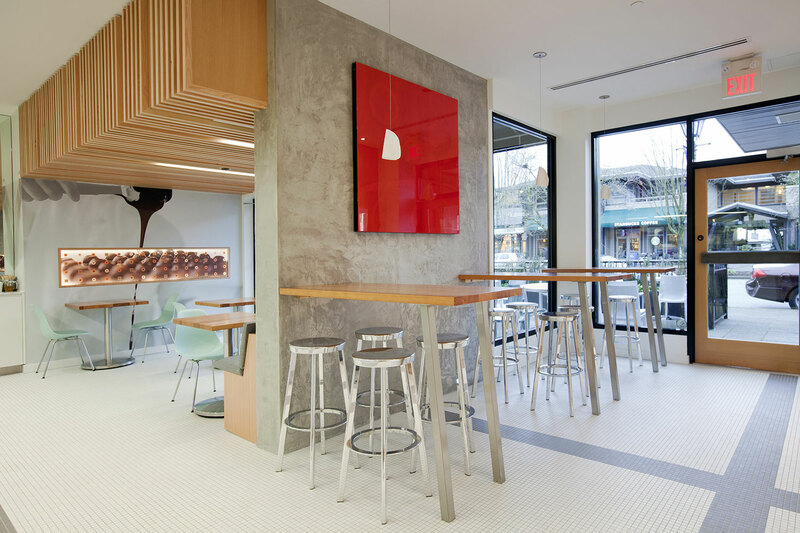 The clean contemporary design was used to provide a clean and unadorned backdrop for the innovative quality of the chefs handcrafted products. 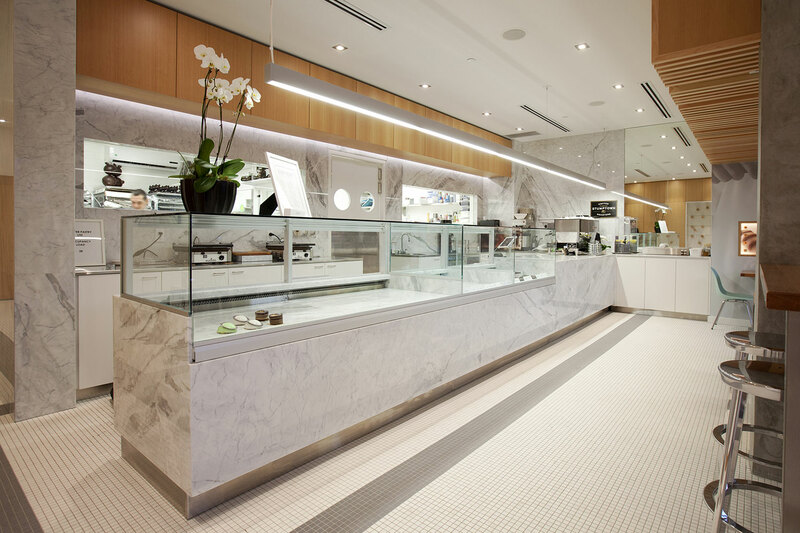 Custom glass display cases, natural materials and linear lighting were used in order to achieve the bright, clutter free layout of the space. 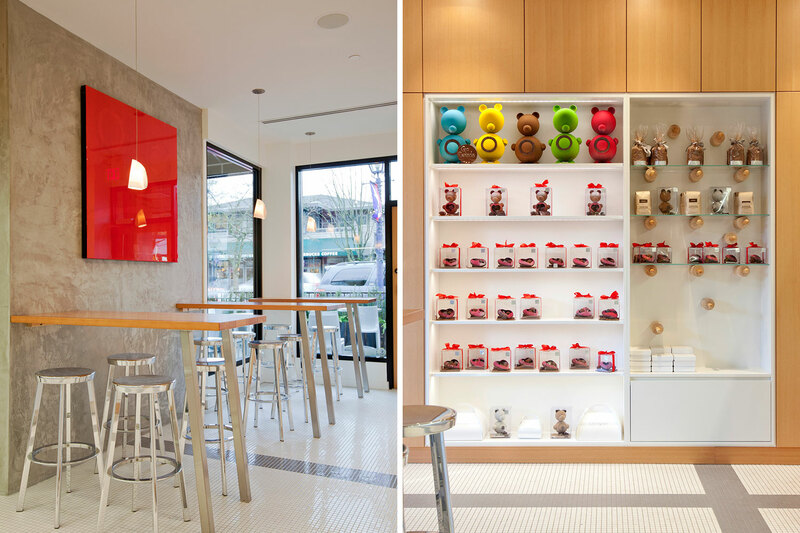 An array of cut off rolling pins and glass shelves were used to create a unique and functional display for products. 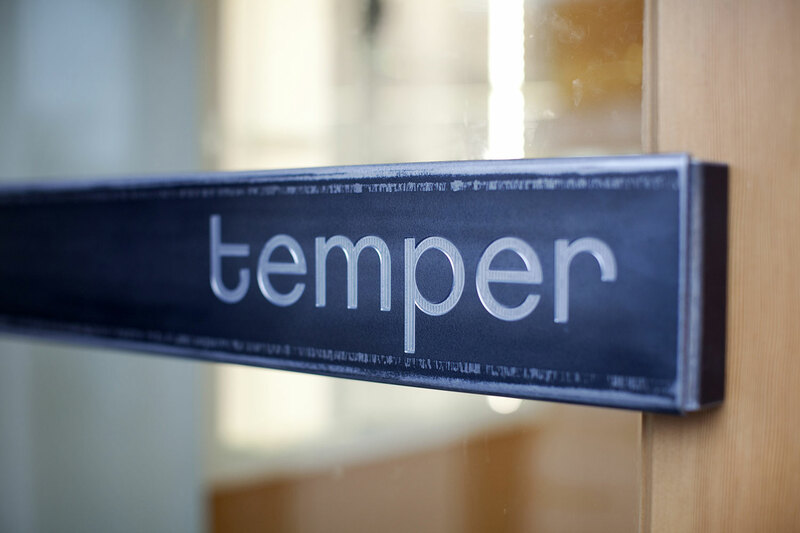 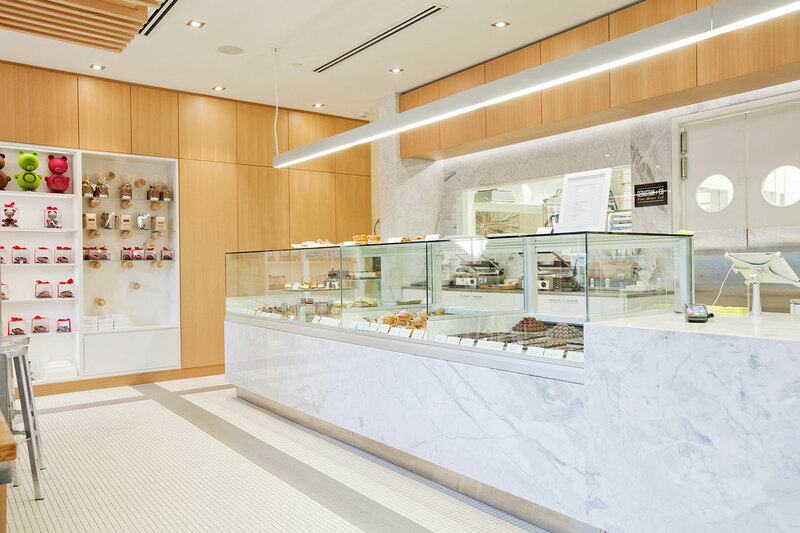 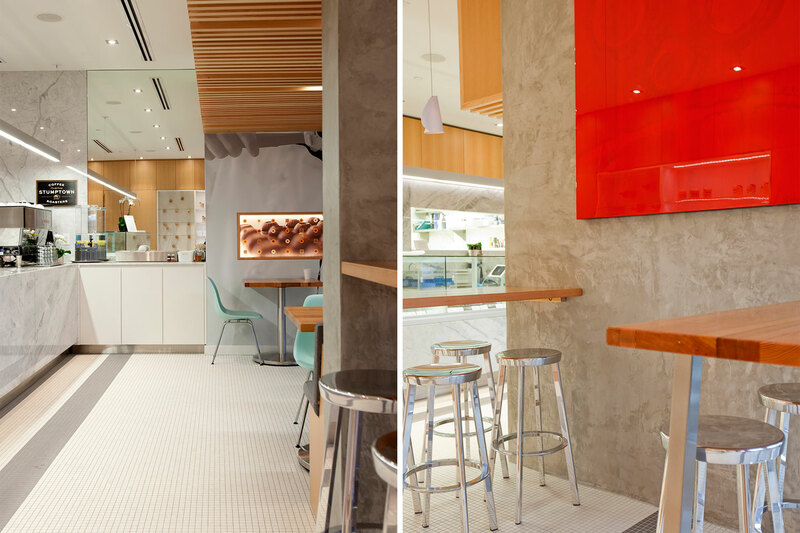 Subtle accents were used to support the overall design concept: from the Bocci pendant lights chosen for their “pastry” aesthetic, to the custom wall covering with original graphics and the custom entry door pull branded with the Temper logo.